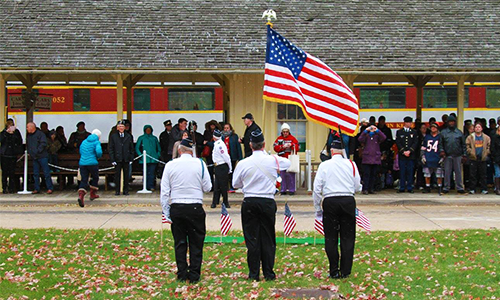 CVSR has invited veterans, active military, first responders and up to three family members to take a two-hour complimentary train ride through Cuyahoga Valley National Park. 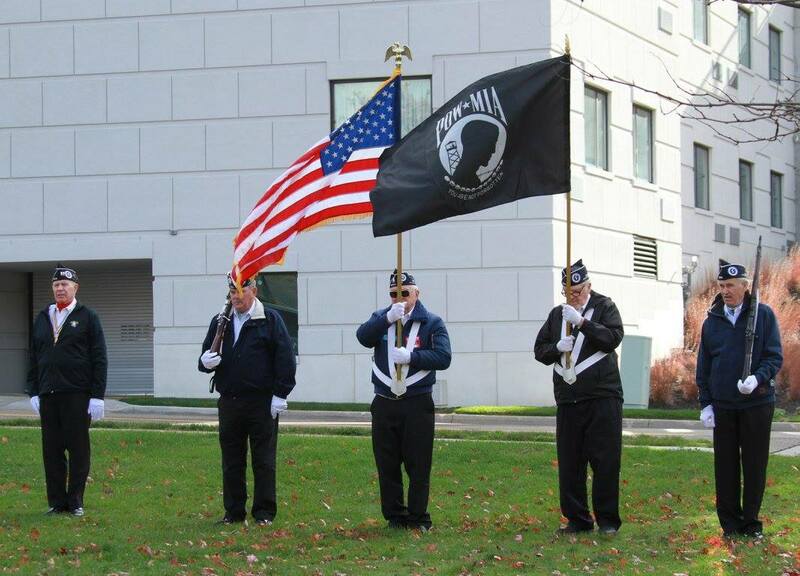 Several local and statewide veteran organizations will be in attendance this year. 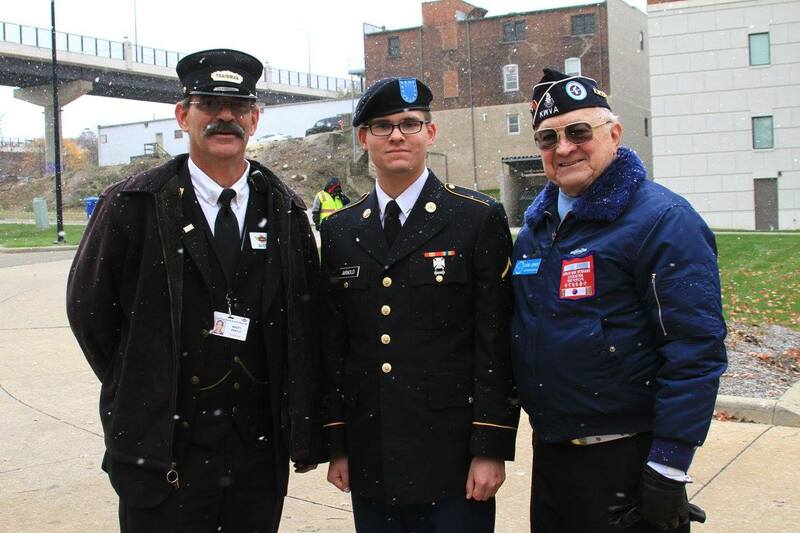 CVSR will host approximately 1,012 veterans and their families on the train; train cars are already almost filled to capacity. 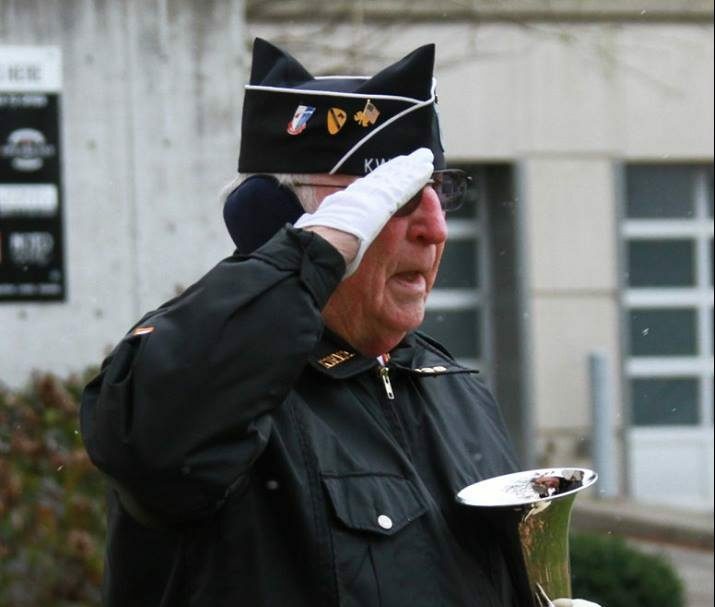 Veterans and their families can choose to depart from Rockside Station, located at 7900 Old Rockside Road, at 9:30 a.m. or from Akron Rockside Station, located at 27 Ridge Street, at 3:30 p.m. Participants are encouraged to arrive at least a half hour before each train’s departure. CVSR invites out the community. 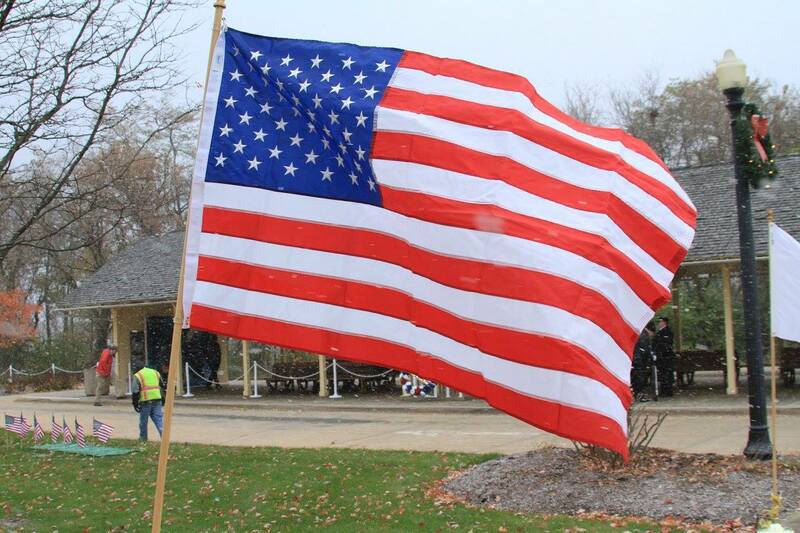 CVSR invites passengers and the public to view a demonstration from the Color Guard at 9:10 a.m. at Rockside Station and at 2:40 p.m. at Akron Northside Station. 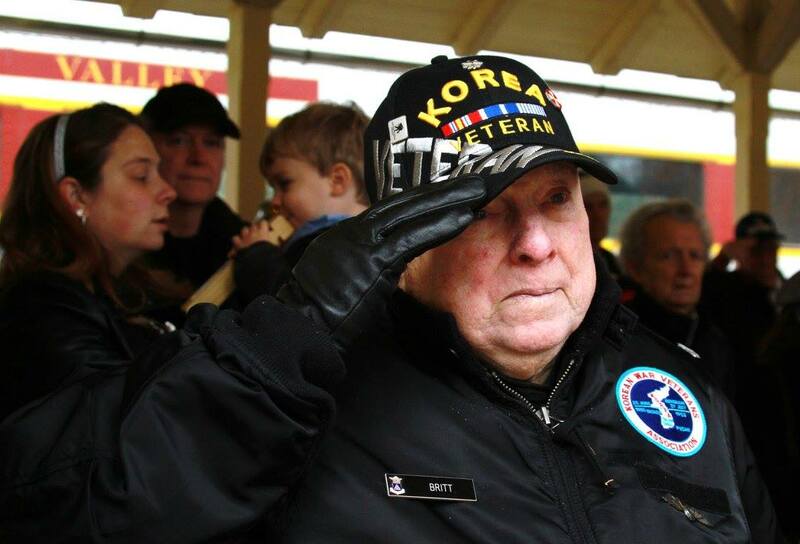 Visitors are also encouraged to salute and wave to veterans at Peninsula station, located at 1630 Mill Street, as the train passes at 10:00 a.m. and 3:30 p.m.
Special seating for World War II veterans. 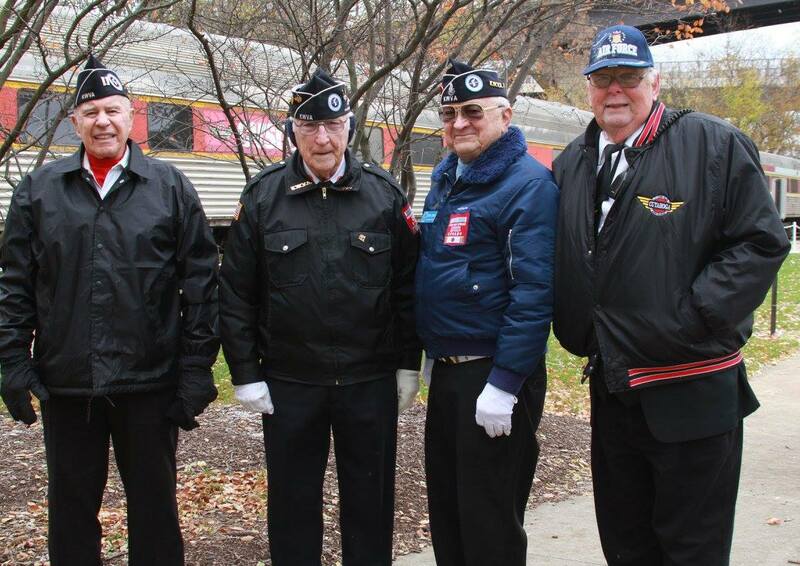 World War II veterans will be seated in CVSR’s recently acquired California Zephyr Silver Solarium train car. 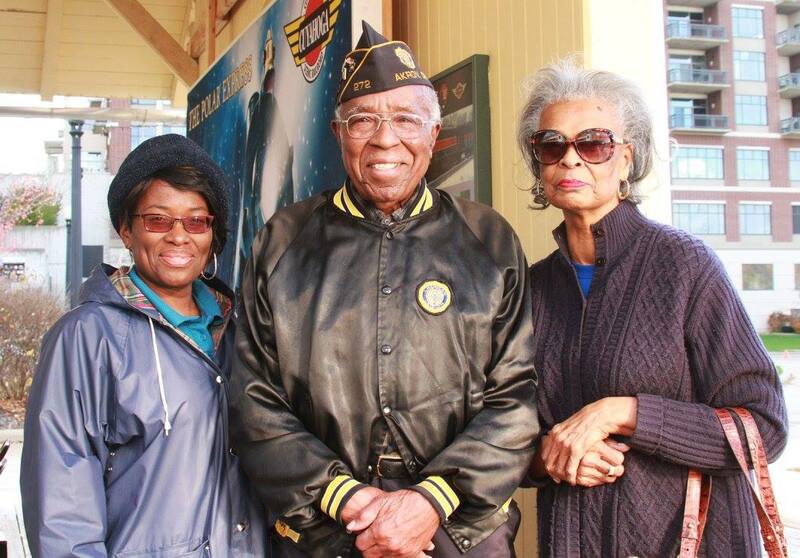 Military garb and memorabilia are encouraged for the excursion. A limited number of tickets are still available. To redeem tickets visit click here or call 1-800-468-4070 x1.